Industrial training is an important and compulsory part of the course for all practical purposes. The period of this internship is six months and a report needs to be submitted at the end of the semester for evaluation. The course prepares the students with the vital technical skills along with the basics in management to handle any responsibility with perfection in the practical working environment. 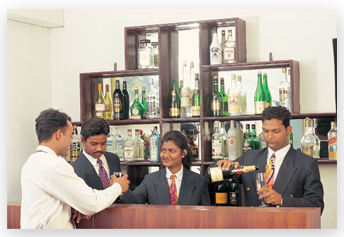 IAST ensures that the curriculum taught to the students is well imbibed and understood. Examination, assignments and projects are instruments used to adjudge this. Examinations are held every semester with written as well as practical evaluations by Andhra University. The practical knowledge is given equal importance and certain minimum percentage should be scored in it. This is only to ensure that the students are making the maximum utility of the courses taught. Internal examinations for continuous evaluation are conducted every month. 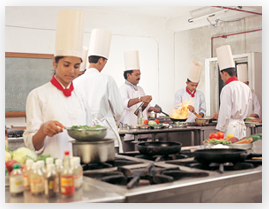 A lot of the classroom time exposes the students to both theory as well as practical applications of hospitality skills. The students are therefore, required to submit course projects, term papers and reports. A part of the total marks at the end of the semester is assigned for the practical, project and reports of internships. Research is given a lot of importance at IAST. The students and teachers are involved in extensive research that is practical and has instant value for the fraternity. A certificate is granted only after successful completion of the entire semester exam.